We talk about change as a process, but it is also the emergence of a new system from within the existing system. This systemic evolution occurs when we are unable to incorporate environmental discontinuities into the current Status Quo. 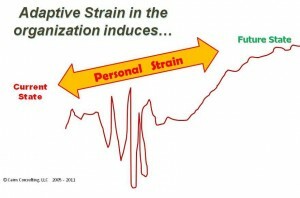 As organizational Adaptive Strain increases, a cycle of change is induced. “How are we going to achieve our Operating Plan goals given these new budget cuts?” Sound familiar? 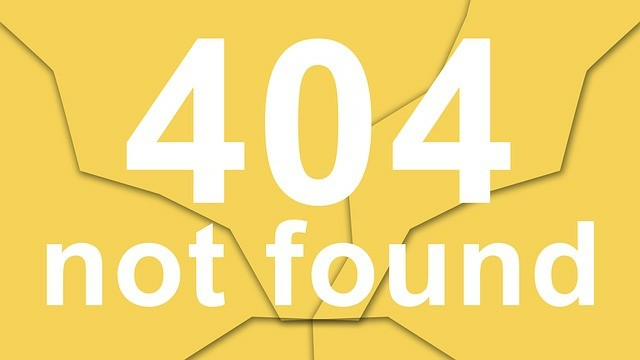 Our typical response to challenges like this is to create a workaround – a short-term fix that solves the immediate problem but does not address the root cause. In other words, we must deliver more output with less people, money, and time. This is the new normal in business, education, healthcare, and energy. I believe that until we become masters at using Adaptive Change our workarounds will continue to apply Band-Aids to critically wounded institutions. When the Onyx1 brand team identified the 2016 Status Quo they desired – their 5 year vision of the future – they were able to imagine2 what they would be doing then and how it would feel. From that future they then imagined their way back to the present – an exercise called Future Back3. Because the critical period for their brand spanned the next five years they walked back to the present in one year intervals, creating a set of milestones for each year. 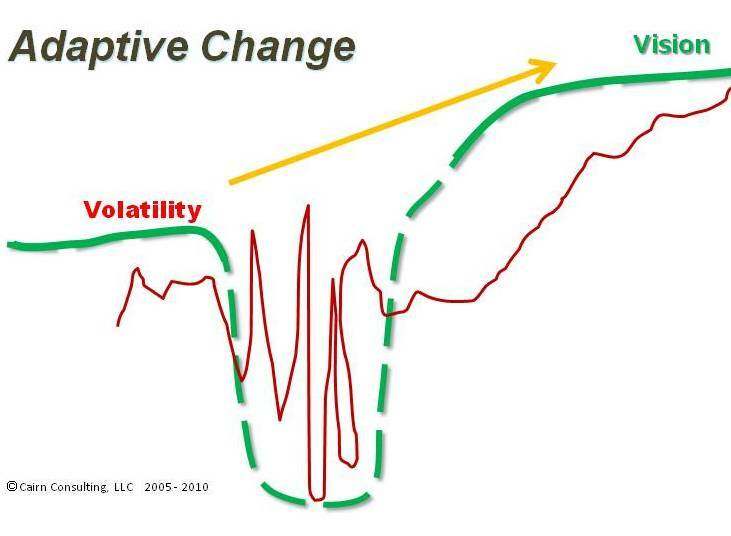 But remember the stream bed and VUCA – we are not trying to predict the future with this exercise. We are trying to Understand the Uncertainty so that we can find Clarity within the Complexity and use Agility when our options seem Ambiguous. Once you have made your way back to the present you are ready to chart your course to the first milestone – in other words, induce change within the organization. Kotter and most other change authors focus on the transactional aspects of change – the things we do during the change process. For example, during the PDCP change process a key transactional element was to create and validate each target opportunity for a specific disease. This was a huge investment of time and effort by over 30 cross-functional teams. The organizational effect it had was to change the business focal point from this year’s operating plan to a horizon 20 years in the future. Given the length of time required to develop new drugs, 10 + years, this proved to be a significant competitive advantage. This shift also produced additional transactional initiatives that introduced new organization capacity, for example: patient flow modeling, a decision-analysis group, deeper integration of manufacturing into clinical development, and a VP of communications. A transactional focus is necessary for change to succeed, but it is not sufficient. As transactional plans ripple across the organizational web they generate emotional and psychological reactions in the people and teams they affect. All too often these are fear, distrust, caution, resistance, denial, and defense of the Status Quo (the devil I know). 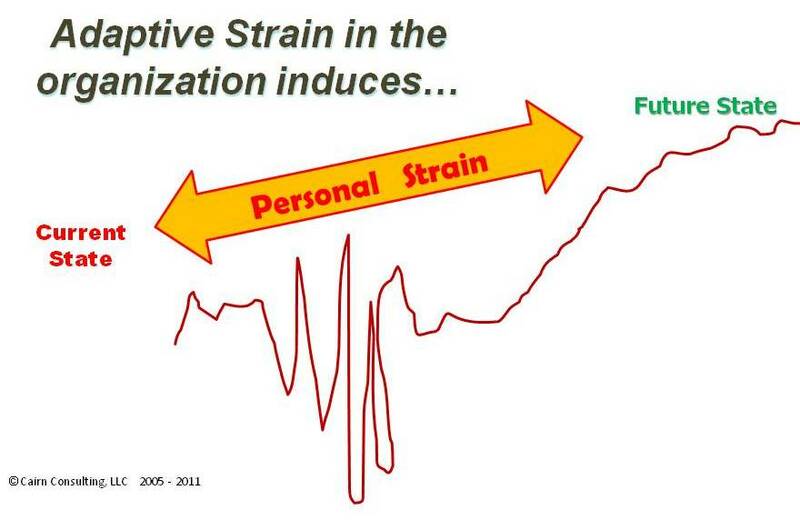 The Adaptive Strain within the organization becomes Personal Strain in its employees. Psychologist Virginia Satir extensively studied groups of people moving through change and documented the roller-coaster ride of their emotional experience, capturing it as a jagged red line. Thus, the emotional reaction to transactional change (logical, planned, and predicted) is unsettling, uncomfortable, and scary. The red line of change pulls the change process away from its sequential, step-by-step, idealized plan and into a cauldron of chaos and VUCA – a cauldron that also contains creativity, imagination, opportunity, innovation, and transformation. While this sounds like (and to control and command leaders feels like) a nightmare and the road to failure, it is actually the path that creates individual and organization acceptance of the reality they face, with all its discontinuities, and the inspiration to achieve the full potential that the future holds. 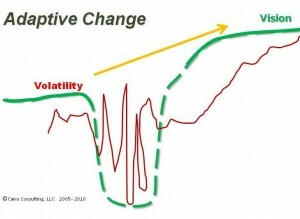 Kevin Kelly’s phase, change changes change, is the mantra of Adaptive Change. 2 – The process of imagination uses the right brain cognitive processes (holism, emotion, and meaning) to picture a situation. NeuroIntegration® (abstraction, quantification, both/and dualism) links these to the left brain cognitive operators (reductionism, cause and effect, and either/or dualism) to make the imagined situation achievable. 3 – This exercise can also be used to understand the customer’s point of view, Customer-back, imagine their future needs, desires, or relationship to your company.